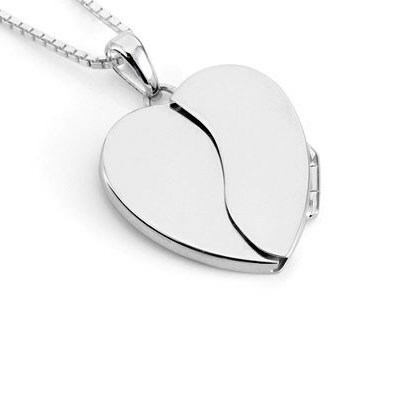 Keep your closest memories next to your heart with our gorgeous Sterling Silver Hidden Heart Locket. Engravable options allow you to write a favorite saying, quote, phrase or verse to celebrate a loved one. Treasured Memories, Inc. is pleased to offer high quality and detailed engraving, which adds flair to every gift. 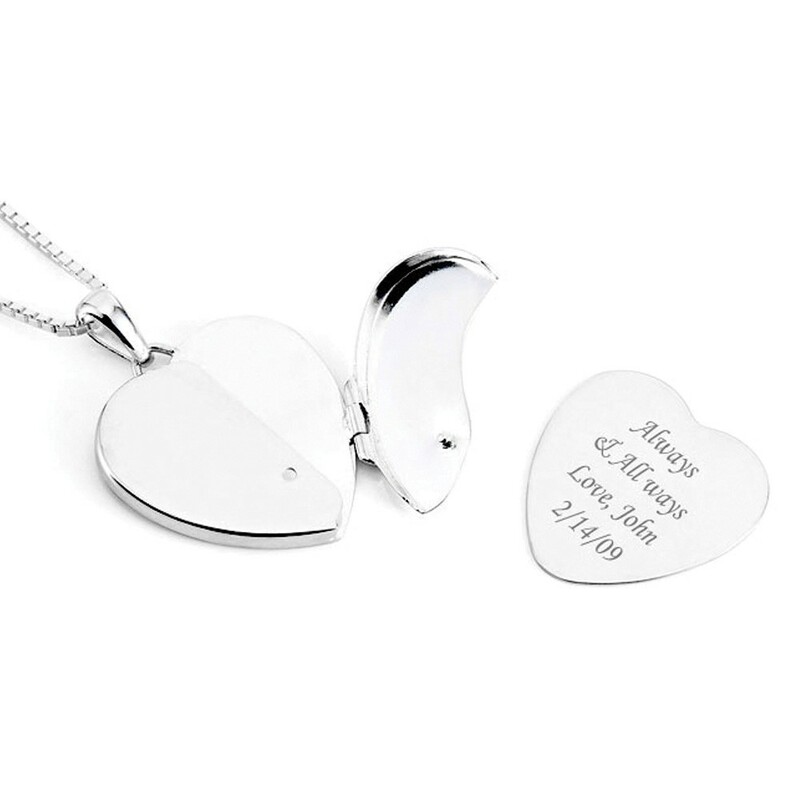 This memorial heart locket can be customized with engraved name, dates, initials or heartfelt message for a loved one on engravable Sterling Silver tab with up to 3 lines, 30 characters (including spaces) in one of our most popular font styles: Block, Script, and Traditional. Before we begin the engraving process, a proof will be sent to you for your approval. After engraving, each piece of jewelry is given an additional layer of pure silver to create the most beautiful & tarnish resistant finish possible. Please allow an additional 7-10 business days to shipping date for engraved jewelry. "Thank you from the bottom of my heart! You don’t know what this means to me. I will cherish this for the rest of my life. We searched everywhere for quality like yours. God bless you." 2018 © Treasured Memories, Inc.